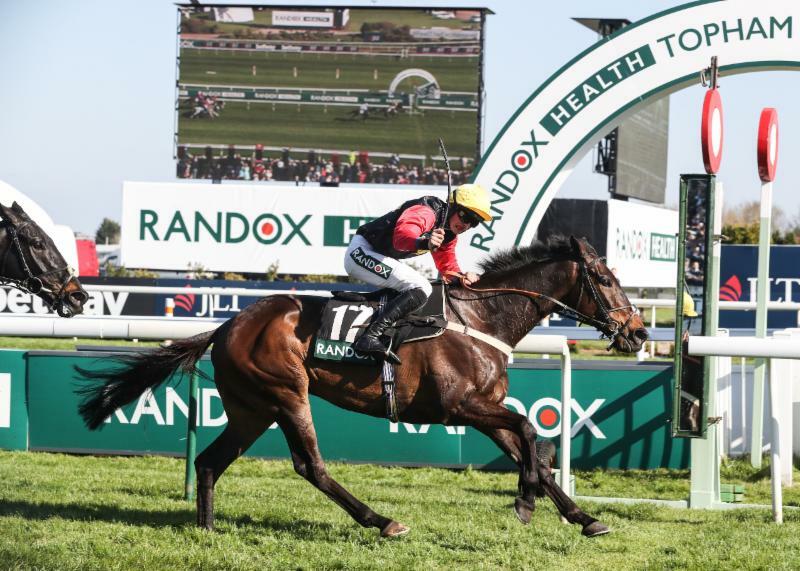 Entries were revealed on Wednesday for the two other races over the Grand National fences during the Randox Health Grand National Festival - the £45,000 Randox Health Foxhunters' Chase (4.05pm, Grand National Thursday, April 4) and the £140,000 G3 Randox Health Topham Handicap Chase (4.05pm Ladies Day, Friday, April 5). Ultragold (Colin Tizzard) has won the Randox Health Topham Handicap Chase for the last two years, including at 50/1 in 2017, and the 11-year-old is among 76 entries for this year's edition. Champion Jump trainer Nicky Henderson has five Randox Health Topham Handicap Chase triumphs to his name and recently won three successive renewals with Triolo D'Alene (2013), Ma Filleule (2014) and Rajdhani Express (2015). Fahey revealed: "Peregrine Run is in good form. He will have a run over hurdles at Thurles this weekend and that will hopefully leave him spot on for Aintree. "We had a good time of it with him in the earlier in the season. We wanted to give him a winter break but, with the way things worked out with the ground over here, we probably ended up giving him a break at the wrong time. "The last time he ran in handicap, I thought he was very impressive at Killarney. I am looking forward to getting him back in a handicap - he is a quick, accurate jumper and I think the Topham will suit provided the ground is in his favour." They include Road To Rome (Joseph O'Shea) who ran a gallant race from the front when fourth in the St. James's Place Foxhunter Chase at Cheltenham on March 15. Ucello Conti (Gordon Elliott IRE), who has contested the Randox Health Grand National for the last three years, was a place further back in fifth. Balnaslow (Graham McKeever IRE) and Bear's Affair (Philip Rowley) fought out the finish to the 2018 Randox Health Foxhunters' Chase and could lock horns again.